Mount Bromo sunrise. Mount bromo can reach with landing flight at Surabaya or Yogyakarta. If you landed at Yogyakarta, you did Yogyakarta tours at least 2 days and start to mount Bromo at day 3rd. Yogyakarta to mt.Bromo transport and Surabaya airport to m.Bromo in our company using car/Van so you served as private tours. Mt. Bromo Jeep. Bromo jeep use by all guest to Bromo sunrise tours. 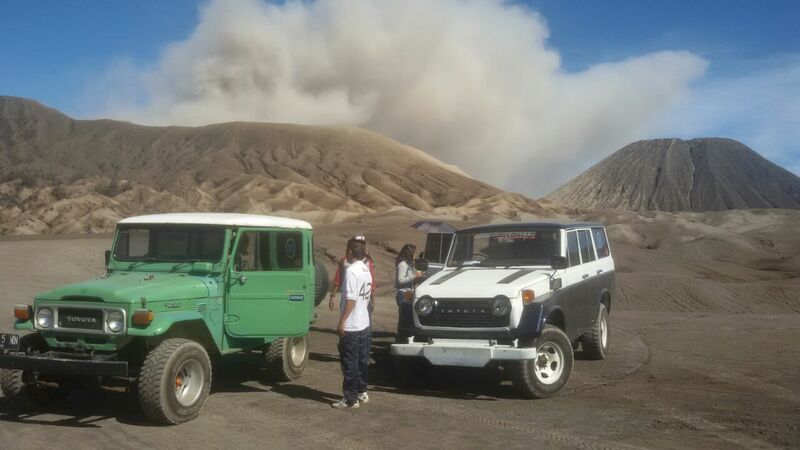 Bromo jeep will take you to Mt. Penanjakan and sea sand. Bromo jeep will pick up you around 2.30 AM - 3 AM for Bromo Sunrise tours until around 9 AM (arrive back to your hotel and you still get breakfast in hotel). Each jeep can fit 5 adult. You can also take Bromo Jeep not for Bromo sunrise tours regarding your tour time, in this case maybe you come to Probolinggo city (main city for Bromo) by cruise. Bromo jeep price. You will take our Bromo excellent tours when you arrive at Ijen Crater first or at Bromo first. Your Bromo excellent tours will handle by our team in Bromo using our jeeps with kind bromo jeep driver best assistance and hospitality. 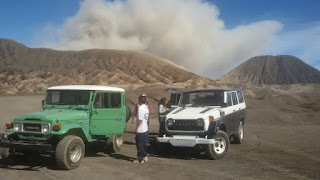 Now we have 4 jeeps and 4 bromo jeep driver in Bromo that ready to serve Bromo tour packages. Bromo jeep that use for our guest in good condition and comfort to ride.